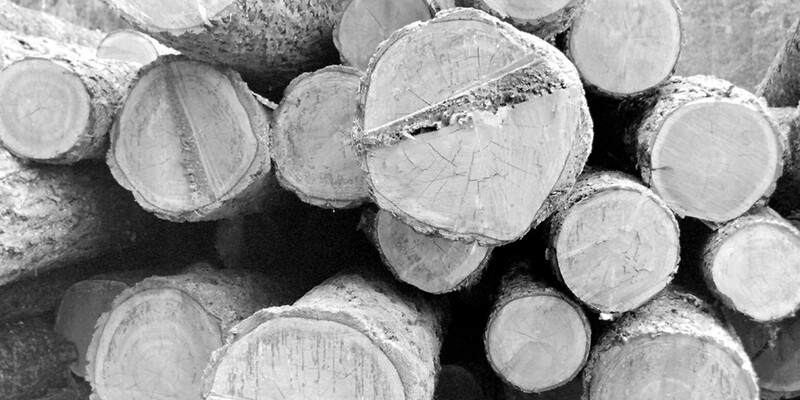 Our products are engineered from responsibly and ethically harvested wood sources. Our values are rooted in keeping the traditional craft of hand-cutting alive. We believe it takes a very complex, interactive, and collaborative effort by all to create the best design for you. We love the challenge of designing and crafting your timber frame. 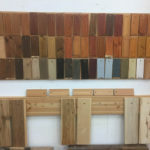 We offer a variety of custom timber frame finishes and stains to be applied to our wood products. McLeod Creek Timber Frame would love the challenge of designing and crafting your timber frame home or structure. We are ready to assist you with your timber frame construction project. Our goal is to ensure that your experience is positive, efficient, and educational, all the while adhering to the goals for your build and the surrounding environment. Building a timber frame house begins with the acquisition of land – this can be in a rural setting, recreational property, or an infill within an urban center. Once you have determined where your dream home is to be located, you are ready to begin the design process. 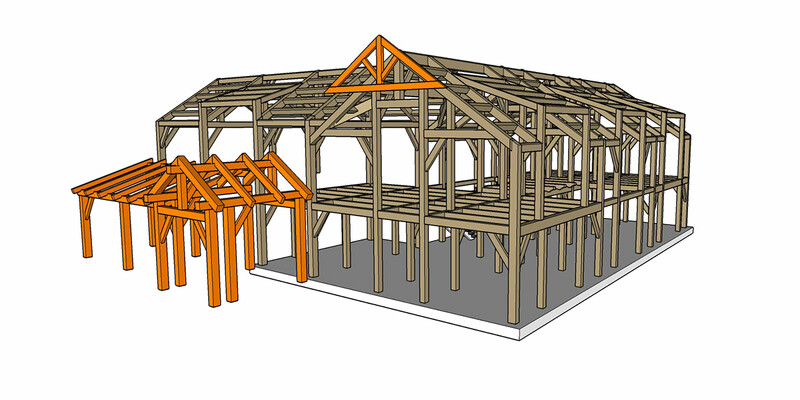 For any timber frame design, understanding the dynamics of the location is essential to ensure that the timber frame construction plan takes into account a number of variables including infrastructure location, sun/shadow paths, interaction with vegetation and the landscape, and viewpoints. Environmentally responsible construction begins with a sound, sustainable design. We will work with you or your consultant team to create the most efficient and appropriate plan that will meet all of your needs. While planning this, the McLeod Creek Timber Frame Company emphasizes that keeping the building size or “footprint” as realistic as possible, while still accommodating all of your requirements and possible budgetary restrictions. We will be actively involved in the design work, because we believe it takes a very complex, interactive, and collaborative effort by all to create the best design for you. 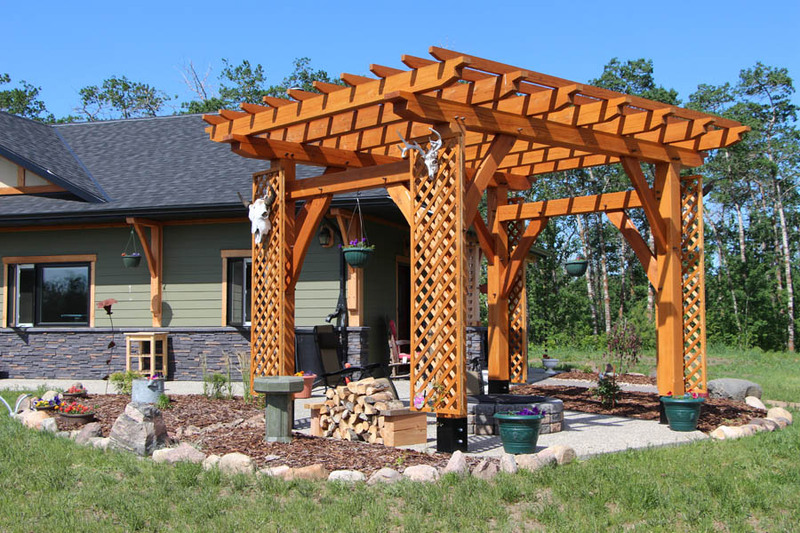 The McLeod Creek Timber Frame Company Ltd. also believes in designing within the existing landscape as much as possible. How the structure is positioned within the environment to optimize the natural vegetation and landscaping along with how the structure interacts with the elements of nature all will be considered. If you are not sure exactly what you would like in a timber frame home, there are numerous resources online to help you, or you may contact us directly and ask us anything. If you see an existing design that has floor plans and exterior elevation views, but is not a timber frame – not an issue! Bring it to us and we can see how the design you like can be modified to have a total or partial frame incorporated into it. We strive to use the right combination of healthy building materials within the design to achieve the best possible values in energy efficiency. The McLeod Creek Timber Frame Company also uses local building materials whenever possible to support local businesses, which will have the least negative environmental impact thereby creating the greatest socio-economic impact. We want to lend support and provide livelihoods for the people within your local communities. First, for large, complex projects, McLeod Creek Timber Frame has access to an array of professional timber frame designers ready to assist you in preparing your plans for construction. You can work directly with McLeod Creek who will work with the designer on your behalf, or the designer who will work directly with you throughout the design process to ensure that the final plans meet your needs and fit your budget. The designers we use understand the dynamics of timber frame construction and help you create a unique timber frame design that will meet all of your needs. 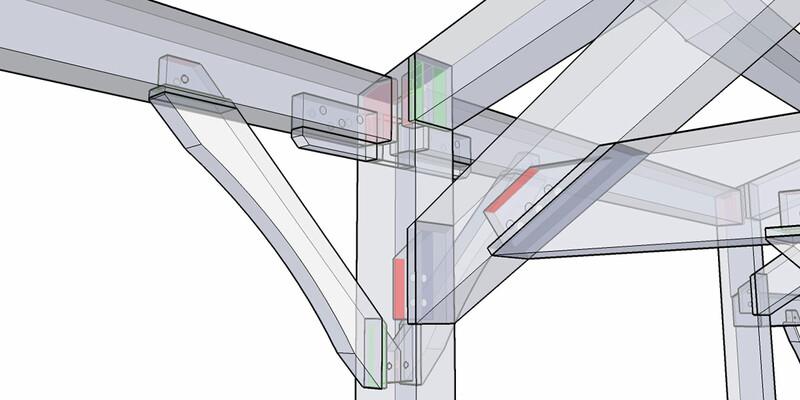 Alternatively, for small, simple projects, we can take you from concept to drawings using the 3D design software Sketchup Pro. Once you have determined that McLeod Creek Timber Frame will design your home or structure, we will enter into the design development stage, which includes the development of full Architectural/Structural & Permit Drawings, as well as a detailed quote of all requested materials. Second, you may utilize your own architectural or design firm. You can generate complete drawings ready for submission to our team for quoting, no matter what the size of the project – it can be a full-sized home right down to a tiny house! It is not necessary for the architect to be an expert in timber frame design, although it is helpful if we are involved at the early stages of design with them. Once you have detailed floor plans, we will determine the cost of a timber frame by creating a 3D timber frame building model. 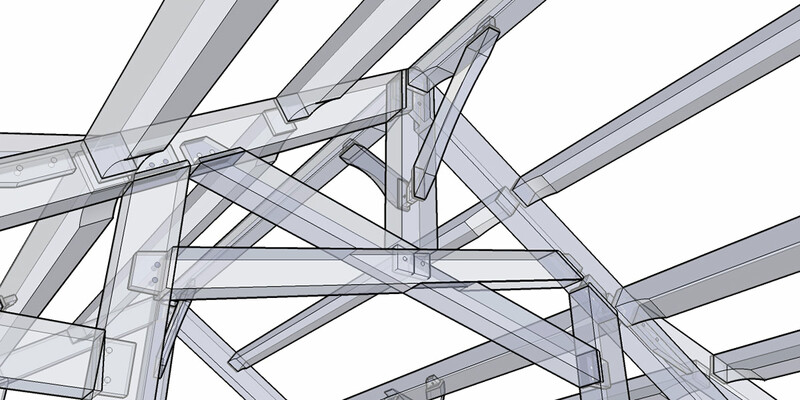 This process will determine the total cost of your timber frame structure, the rest of the drawings will allow you to find a general contractor who can then price out the rest of the build for you. As part of our initiative to act locally, we believe that finding a local GC and local tradespeople will help the local economy and keep your labour costs down – you are not paying for costs related to out of town labour. 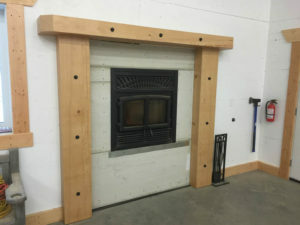 Here at McLeod Creek Timber Frame’s shop, our craftsmen take great pride in recognizing the uniqueness of your project. Once the timber frame design process is complete and signed-off, we will begin the crafting of your timber frame. Production of your timber frame varies in shop time depending on the size and complexity of your project – we will endeavour to provide realistic timelines throughout the entire building process. During this time, your general contractor (or you) can work to obtain permits and prepare the site for the arrival of the timber frame. While in the shop, most timber frame joinery is test fitted as realistically as possible, while some is reserved for site-fitting. It is then finished, stained or coated, and finally packaged for shipping. Once the materials and our installation team arrive on site, the raising of your timber frame home will commence, with timelines varying depending on size and complexity – this will be communicated to you to the best of our ability. 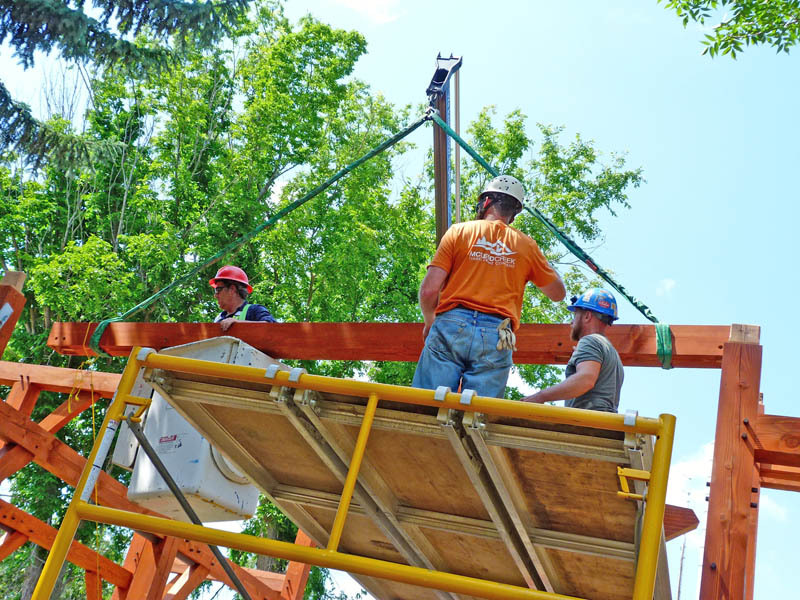 To ensure efficiency during your timber frame construction, we will coordinate with your general contractor to make certain that all aspects of the pre-timber construction are ready and hoisting equipment has been organized. 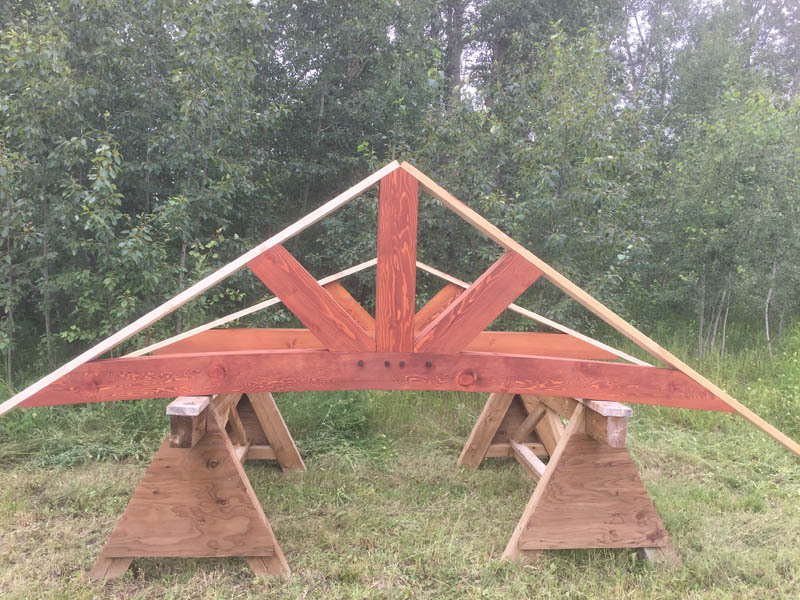 If you have any additional questions about the process of building a McLeod Creek Timber Frame structure, please contact us. Building a timber frame begins with selecting the perfect timber. McLeod Creek Timber Frame ensures that all of our products are engineered from responsibly and ethically harvested wood sources. 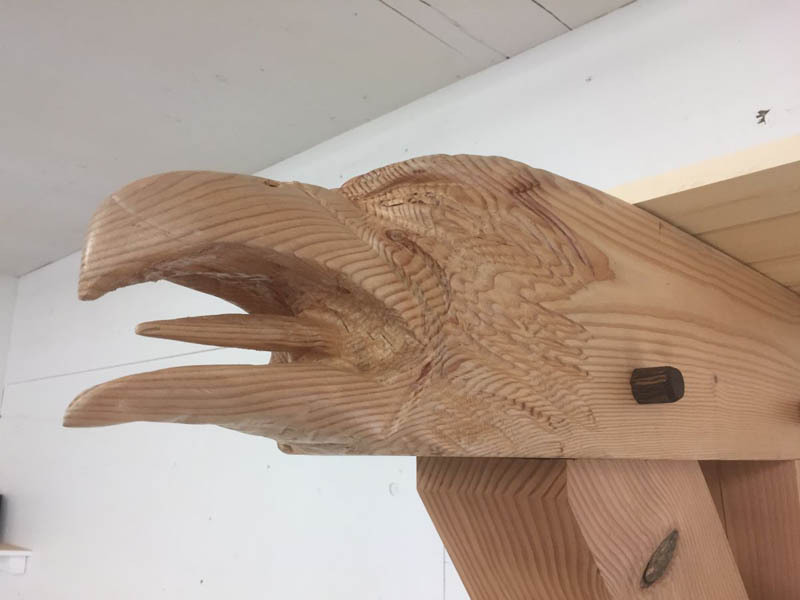 Most of our wood products come from British Columbia which is known for its abundant population of Douglas Fir, Larch, Spruce, Western Red Cedar, Pine and many other species. 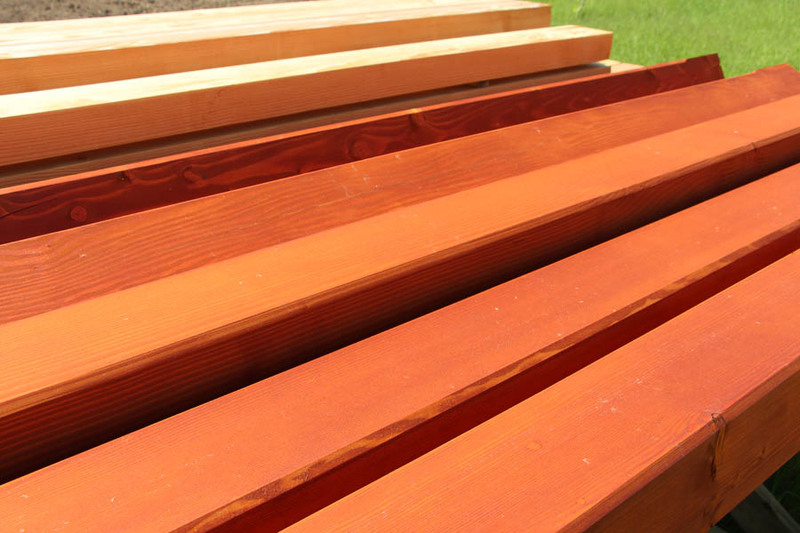 We also encourage the use of locally harvested wood right here from Alberta, such as Spruce, Pine, and Larch. You may even have trees on your property that you would like to use for your whole or partial build as accents or special beams! Timber frame engineering requires the careful calculation of wood species, loads and spans, location (snow loading), environment, and the use of the building and the wood joinery used in certain locations within the frame. We also have the ability to engineer specialty designs with our timber frame engineering, such as curved and “naturally curving” timbers. 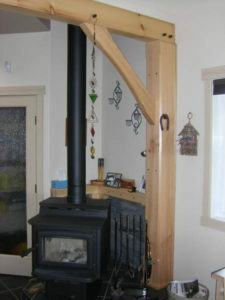 All this is done through a reputable engineering firm that is totally dedicated to timber frame construction. 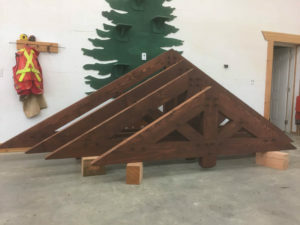 In preparation for shipment, all timber frame structures and their components are test fitted to ensure that installation is efficient and that the quality reflects the reputation of our work. 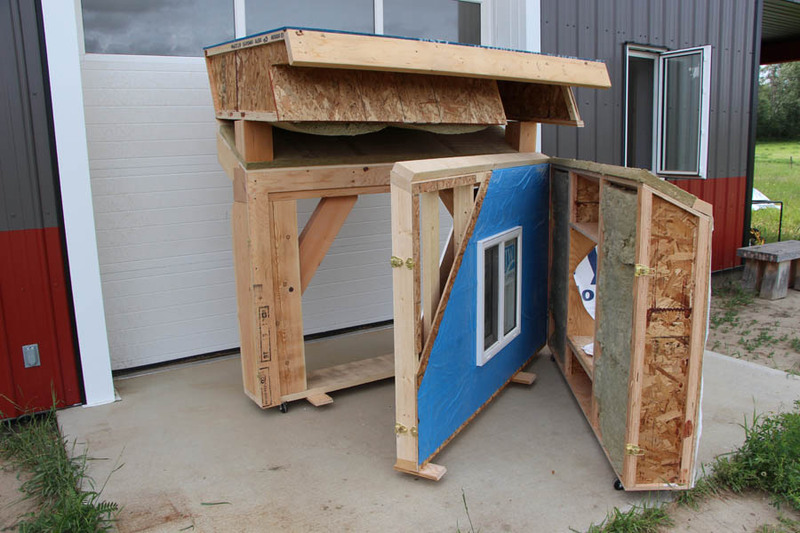 After our timber frame craftsmen complete the test fit, the timber frames are disassembled, finished (to your desired texture and style), stained, and packaged for shipping. 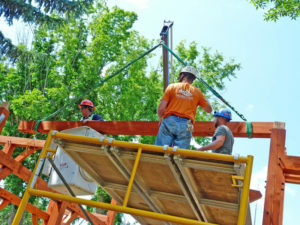 One of the most exciting steps is to raise the timber frame building. Once the foundation/floor of the home has been installed, the timber frame is delivered and the pieces are assembled into sections – either “walls” or “bents” using hardwood pegs. 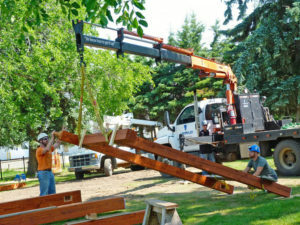 With the assistance of hoisting equipment, the timbers are raised into place. McLeod Creek Timber Frame can also supply a variety of timber frame products. We manufacture and supply timber frame products for outdoor living spaces such as gazebos, pergolas, outdoor kitchens and entertainment areas, carports, covered decks and hot tub enclosures, porches, outbuildings and sheds – anything that your imagination can dream up. If you are not wanting a “full” timber frame home, we can design hybrid elements such as small structures or timber trusses within the great room or kitchen as an example, while the rest of the house is traditionally stick framed. 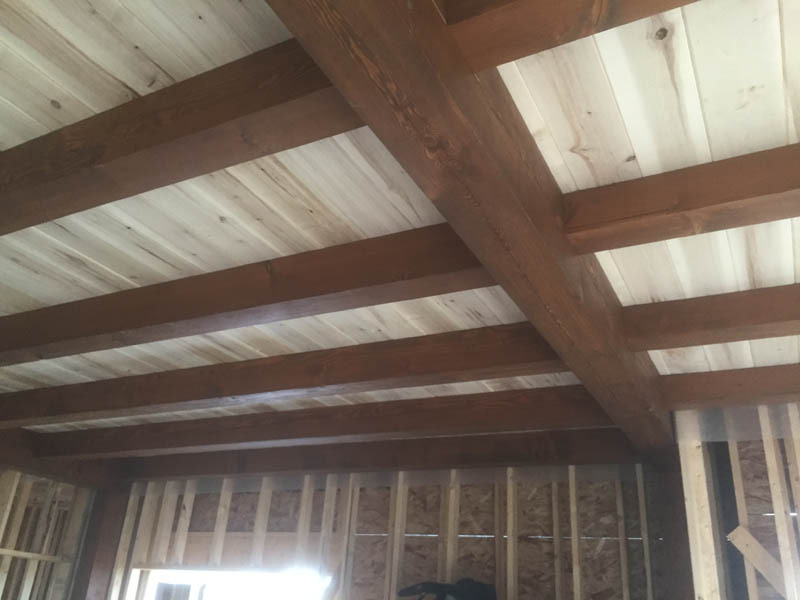 Timber frame accent and design elements can also be added to the interior and exterior of your home in the form of ceiling beams, roof braces, gable accents, rafter tails and much more. 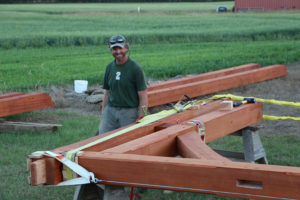 McLeod Creek Timber Frame has unique access to sustainably harvested urban timber of various species. This wood is most likely headed to landfill sites, but we are fortunate enough to form relationships with those that are willing to extend a hand and reclaim this wood for other purposes, especially ones that would be great additions into a timber frame in the form of accent pieces (beams/braces) or fireplace mantles and even timber framed furniture! 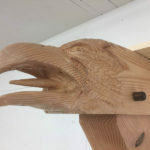 Additionally, we also have access to eastern Canadian hardwood species such as oak, cherry, and walnut that would also make great accent pieces. Boxed Heart (BH) where the center of the tree is present within the timber. 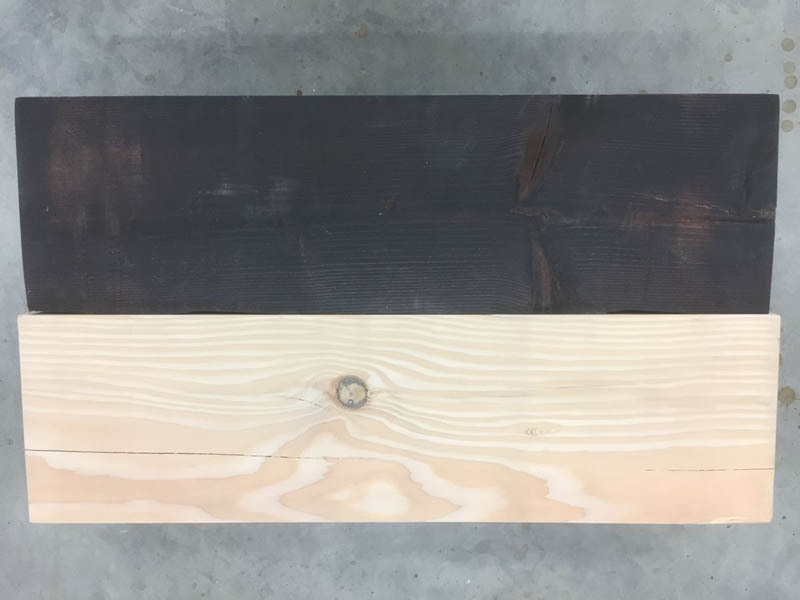 This cut of timber may check and move as it dries with no structural implications – rather it may affect your aesthetic expectations. Free of Heart Center (FOHC) where the center of the tree is cut out. The timbers are more stable than BH. One drawback is for larger timbers, you need a very big tree to cut out the center…FOHC is great for stairs and other pieces where movement is critical. Green – these timbers come from trees logged in the winter and milled the following season. May or may not have varying moisture content largely due to “where” it grew and the environment it was in. 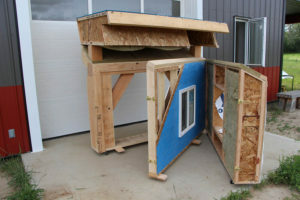 Green timbers will have shrinkage and movement associated with natural drying. Kiln Dried – moisture is physically removed from the timbers. 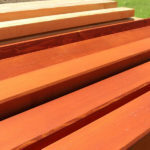 Recovered or recycled timbers – more difficult to procure and therefore more costly. It is aesthetically pleasing, providing warmth and character, and a relaxing environment. 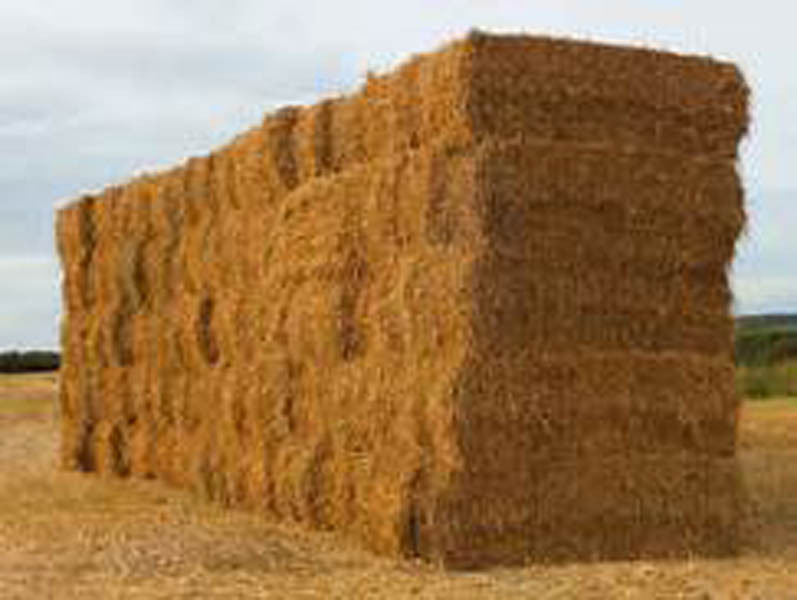 It is renewable, biodegradable, recyclable, and stores carbon, thus having a smaller environmental footprint than other building materials. It has versatility and is easily shaped and profiled, giving great scope for architectural design. It has a high strength to weight ratio. 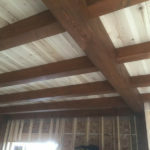 To finish your new home, McLeod Creek Timber Frame can offer other local products that include tongue and groove (T&G) panelling in a variety of species and profiles which can be used for ceiling or wall finishes. 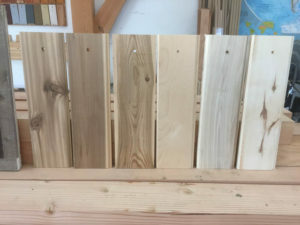 From local mills, other materials can be sourced (examples include birch and poplar) for all your finishing trim needs. 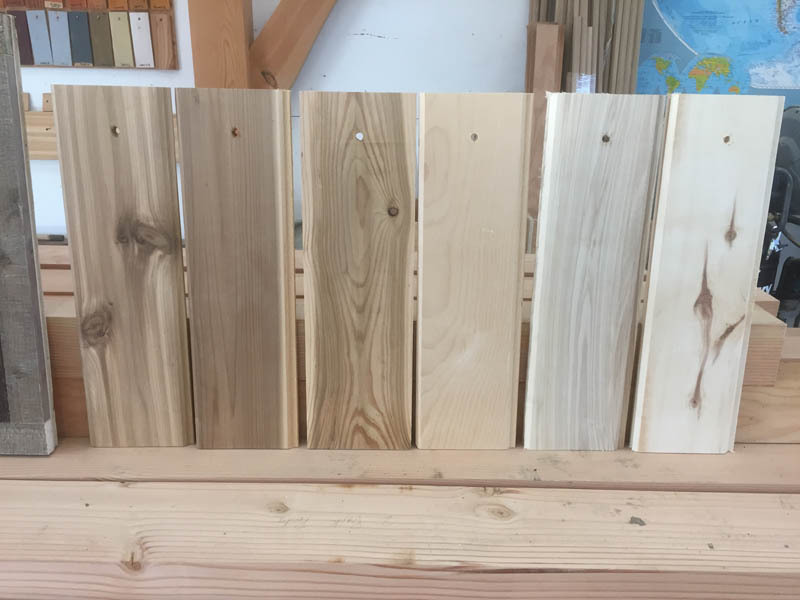 We offer a variety of custom timber frame finishes and stains to be applied to our wood products that will both protect and enhance the character and feel of your timber frame. 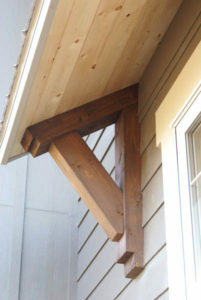 Timber frame finishes can be smooth and sophisticated or textured and rustic. Both the timber frame finish and stains you choose will help to determine the style and look you desire. Our timber frames are prefinished in our timber frame shop with an environmental quality stain and sealer. On application, natural oils and resins, in a water base, penetrate deep into the wood’s cell structure forming a tough, durable barrier that won’t crack, peel or blister while nourishing the wood and allowing it to breath. This finish also offers ultra violet (UV) protection from sunlight which can discolor and damage wood surfaces. 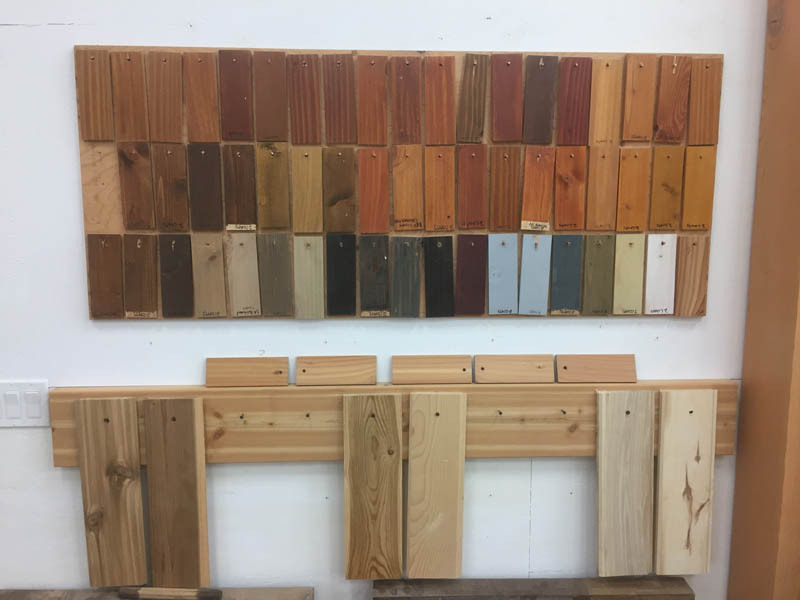 Once the surface is decided we make sure you know what you’re getting by providing wood finish and colour samples early in the process. We understand what goes into protecting wood and can help extend the life of the finish and suggest the most appropriate maintenance plan. 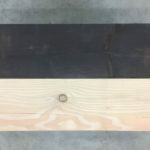 We stain the timbers in a controlled environment to make sure that the treatment cures fully before it leaves our shop. We will endeavour to accommodate a large range of budgets for whatever project you may be imagining. We encourage all our customers to work with us throughout the design process, thereby allowing us to ensure your timber frame costs are within your budget. Outside living areas such as decks, porches, covered decks and garages. Another way to look at how you can approach your timber frame budget is by looking at it from the point of view if you were going to buy a car. You have a model in mind – think of what it will cost as the base price. From there, think of the range of options that you can add and see how the price changes all the way up the luxury model. This is what happens with pricing out your timber frame. We are proud to offer our practical experience, knowledge, quality wood and timber frame design, and installation solutions. We understand it can be a daunting task for both client and builder as there are so many decisions to make. Our expertise allows us to make a complex process as simple as possible for you. 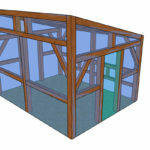 Timber frame and carpentry are similar, but not the same. 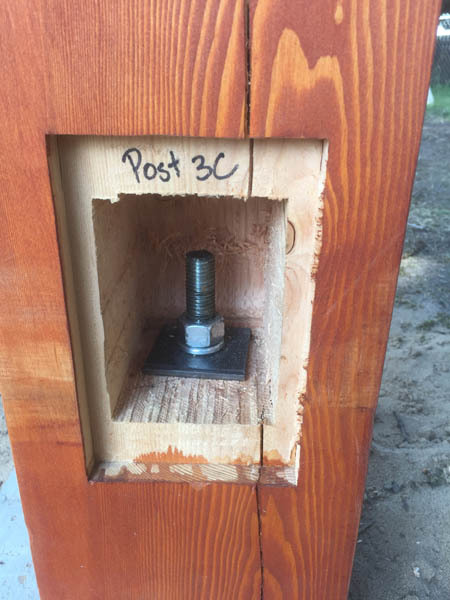 It takes years of practical experience and real skill to understand heavy timber and how it moves, how it needs to be cut, and how to be installed. Structural understanding is essential. 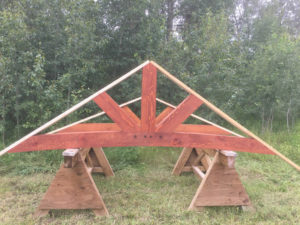 The crew at McLeod Creek Timber Frame are experienced timber framers in addition to be being fully qualified carpenters with many varied skill sets. We have extensive knowledge in heavy timber design and construction and can assist you with design and planning of your timber frame home or cabin. We strive to learn new things everyday, and this shapes our attitude in working with you to provide the best possible product and service. We know it can sometimes be difficult to visualise the end result, so we design everything on a CAD model which allows us to show you 3D visuals of what the construction will look like. At McLeod Creek Timber Frame our values are rooted in keeping the traditional craft of hand-cutting alive. We believe the human eye knows which side of the wood is best to notch and cut and face outwards and which pieces are best used for which features. 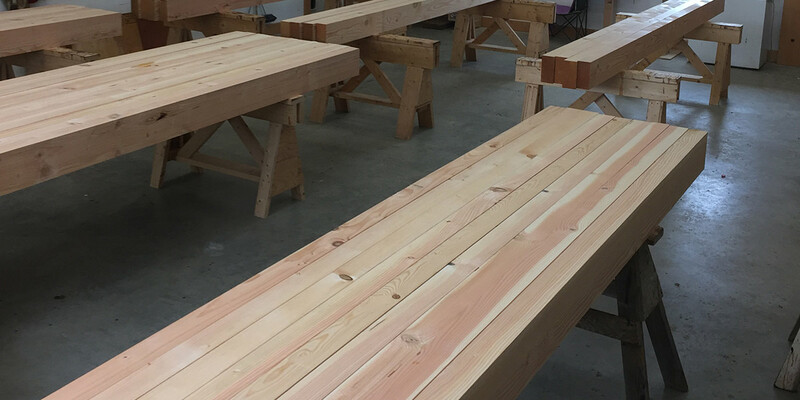 We pride ourselves in being thoroughly prepared from measurement, to drawings, to hand-cutting, sanding and staining and pre-assembly prior to delivery to the job-site. Many clients tell us of the joy watching our skilled crew work efficiently and professionally to fit the pieces together in minimal time. 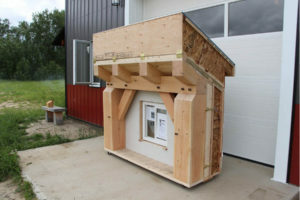 McLeod Creek Timber Frame is considerate of others involved in the build because they are part of our community: local drywallers, painters, electricians, plumbers etc. We think of things practically for everyone involved in the project which ensures things are done properly and efficiently. We are flexible and responsive: we try to work with you to provide answers to challenges that every project encounters. We understand the real issues and anticipate challenges and propose solutions: at the planning stage, the design stage, the engineering stage and at the final timber frame installation stage.